Ship your clubs hassle free with Ship Sticks and Myrtle Beach Golf Packages! Schedule your golf club and bag shipment online at ShipSticks.com. You choose the pickup location, no matter if it’s your home, office, or golf course - and then print and attach your bar-coded shipping labels. Your clubs can be in a hard case or you can use our Ship Sticks shipping box to ship your clubs. 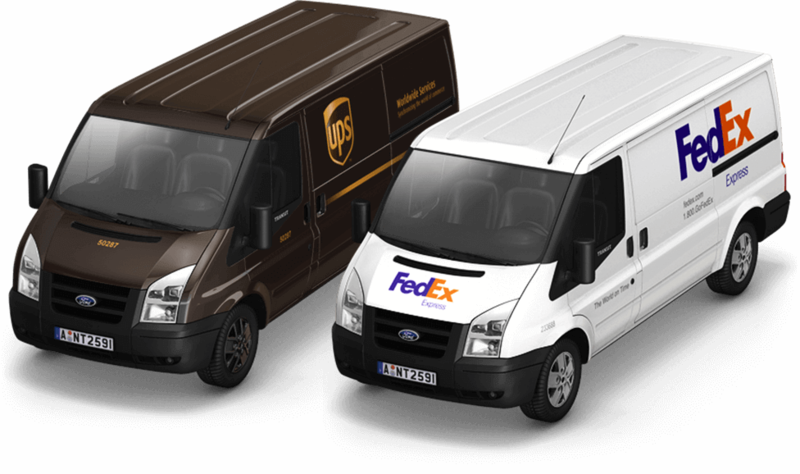 Your assigned logistics provider will arrive at the specified pickup window and ship them. 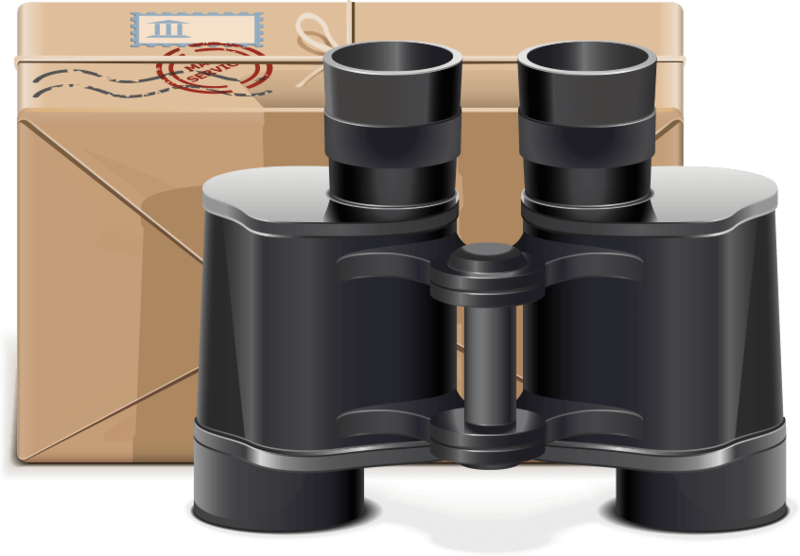 You’ll be able to track your golf clubs online at ShipSticks.com and will receive an email once your clubs have arrived. Sit back, relax, and enjoy your trip. 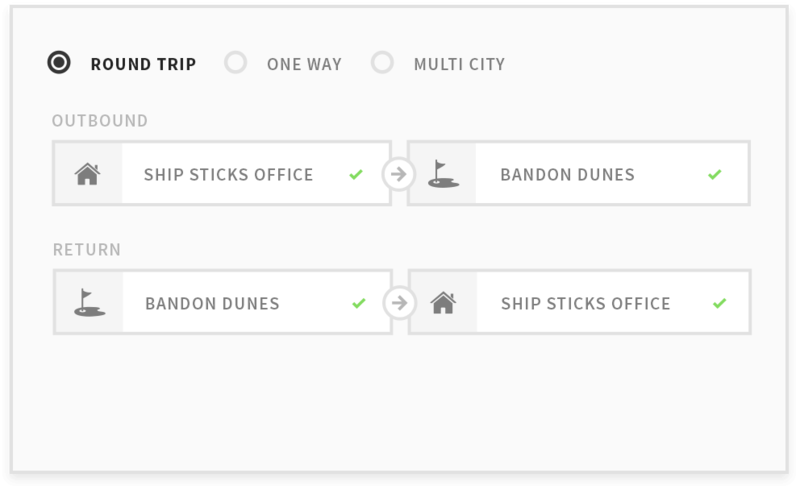 With Ship Sticks, shipping your golf clubs is fast and easy. To schedule your shipment, simply click Ship Now and view our easy-to-use order form. Fill in the required fields, making sure to specify your pick-up and delivery locations and dates, number and size of bags, and insurance. You can have your clubs and luggage picked up from anywhere; whether it’s your home, office or golf course, Ship Sticks provides pickup services worldwide. You also have the option to drop off your clubs and luggage at a local carrier store. Once you’ve completed the online form, click “continue” to complete the registration and order process. 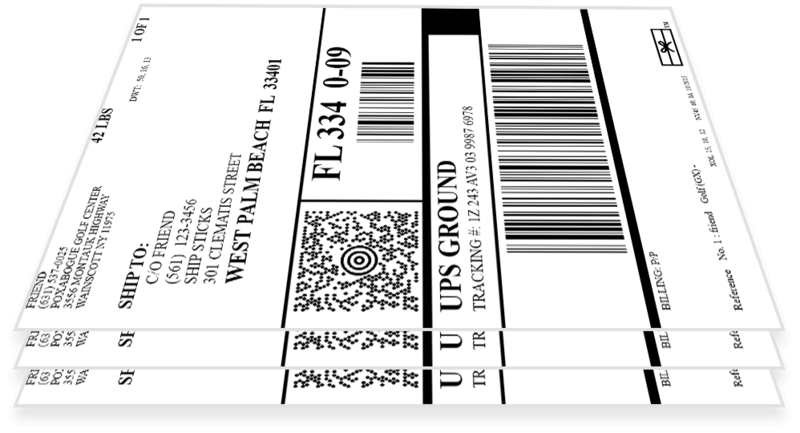 After your shipment has been scheduled, select Print All Labels from your confirmation page. The label(s) can also be accessed and printed from the confirmation email you'll receive immediately after you've placed your order. We highly suggest attaching your label to a “fly tag”, especially if you’re shipping in a soft sided travel bag. Shipping supplies can be purchased from your local carrier store and can go a long way in ensuring your clubs and luggage arrive on time. If you’ve booked a round trip shipment, you’ll only need to attach the outbound label(s) to your shipment. A copy of the shipping label can also be placed inside your shipment. 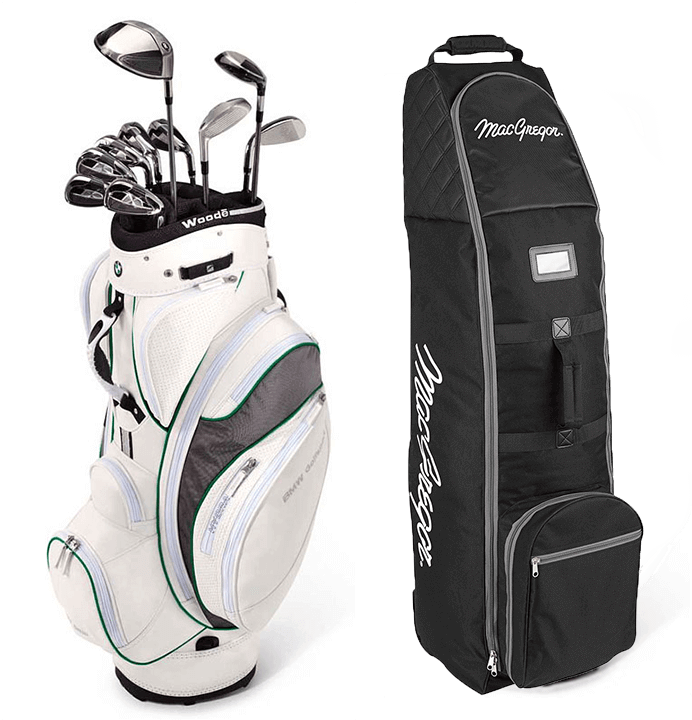 To safely ship your golf clubs, you will need to have your golf clubs or luggage packed in a golf travel bag, hard case or box. If you are shipping in a soft-sided travel bag, we suggest using a zip-tie or lock on the zippers. While the carriers will not be searching your shipment, this will ensure all pockets remain closed throughout transit. We also suggest removing the heads from adjustable clubs and placing them inside your golf bag. It is important to ensure you are within the weight allowance your label allows. The standard golf bag weight allowance is 32-42lbs and the XL bag weight allowance is 43-56lbs. If you’ve selected the option of having your clubs or luggage picked up, your assigned logistics provider will arrive during the specified pickup window. Please ensure your shipment is properly packed, labeled, and readily available for the driver by the start of your pickup window. You can also drop your clubs off at your assigned logistics provider’s store location. To find a carrier store near you, please visit the Store Locator. 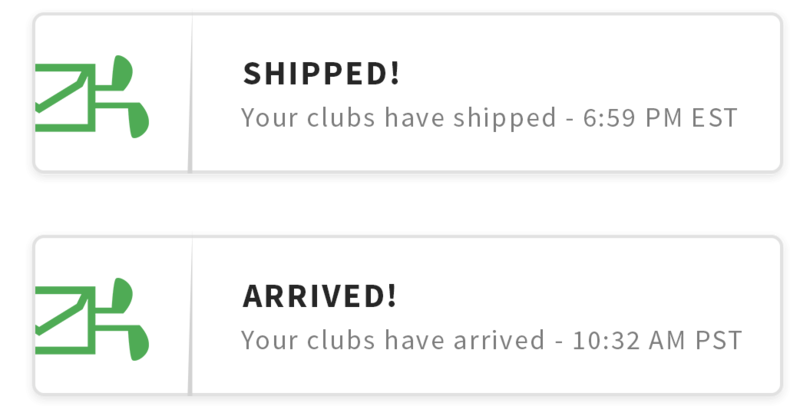 After your clubs and luggage have been picked up or taken to a local carrier store, you can track them using the Ship Sticks tracking ID provided in the confirmation email. On the Tracking page, you’ll see up-to-date information on where clubs or luggage are in transit. Questions about tracking? Our customer support team is monitoring each shipment to ensure it arrives and is eager to assist you in any way we can. You will receive an email once your clubs or luggage arrive at their destination. Sit back, relax, and enjoy your trip. You just simplified the way you travel, saving you time and hassle at the airport.